De Lauretis, Teresa. Alice Doesn’t: Feminism, Semiotics, Cinema. Bloomington: Indiana UP, 1984. Doane, Mary Ann. “Film and the Masquerade: Theorising the Female Spectator.” Screen 23. 3-4 (1982): 74-87. Dyer, Richard. Heavenly Bodies: Film Stars and Society. Basingstoke: Macmillan, 1986. Mulvey, Laura. “Afterthoughts on ‘Visual Pleasure and Narrative Cinema’ Inspired by King Vidor’s Duel in the Sun (1946).” Framework 15-16-17 (1981): 12-15. ______. “Visual Pleasure and Narrative Cinema.” Screen 16.3 (1975): 6-18. Stacey, Jackie. “Desperately Seeking Difference.” Screen 28.1 (1987): 48-62. ______. “Feminine Fascinations: Forms of Identification in Star-Audience Relations.” Stardom: Industry of Desire. London and New York: Routledge, 1991. 141-63. ______. 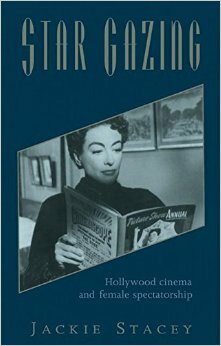 Star Gazing: Hollywood Cinema and Female Spectatorship. London and New York: Routledge, 1994.